One of the challenges in reviewing how an electric car drives is that you are almost honor-bound to use the word "smooth." It's a defining feature of an all-electric powertrain, thanks to the way a single-gear electric motor set-up moves the wheels. But, on the other hand, you can't just ignore that word because the technical synonyms – steady, calm, mellow, dulcet, suave – are decidedly worse. So, please forgive me, but the new 2018 Nissan Leaf is indeed a smooth ride. How smooth? Well, from the 15 minutes I got to spend behind the wheel of the hotly anticipated new EV on the highways around Las Vegas today, it's as smooth as you could ask for. 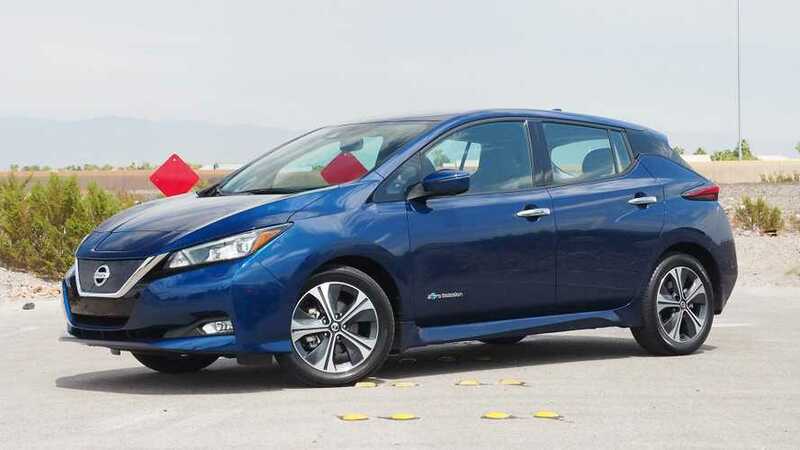 * - Nissan's main message with the new Leaf – as we've duly noted – is that with ProPilot assisted driving technology and the one-pedal driving option called e-Pedal, the EV is supposed to simplify your automotive life. 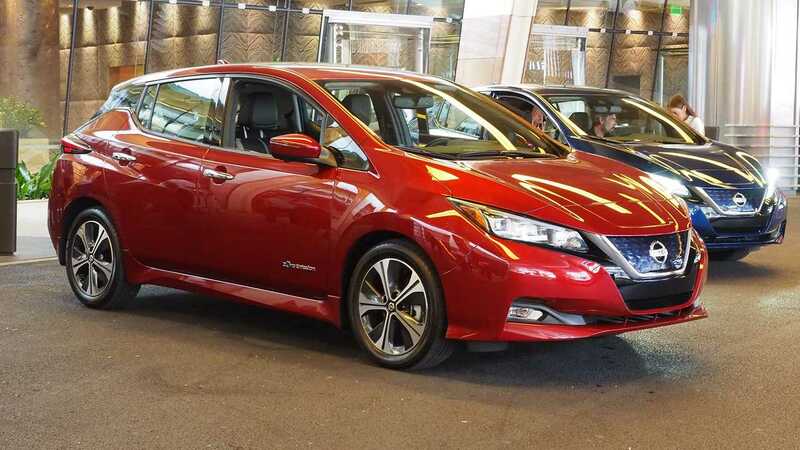 Fifteen minutes is not enough to prove this out, but after getting acquainted with how to turn things on and off, we certainly didn't have any stress letting the 2018 Leaf assist us on the highway. And that's the thing. The new Leaf is by no means a self-driving car. It's got advanced adaptive cruise control with automatic braking. When you push the blue "safety shield assist mode" button and then set the cruise control, the car goes from a traditional "dumb" car to one that sort of speaks to you as you drive. Get to close to exiting the lane you're in? Steering wheel vibration. Don't correct the lane departure angle? Two beeps. Let the car find the lane markings on the highway, so it knows where to go? One beep. 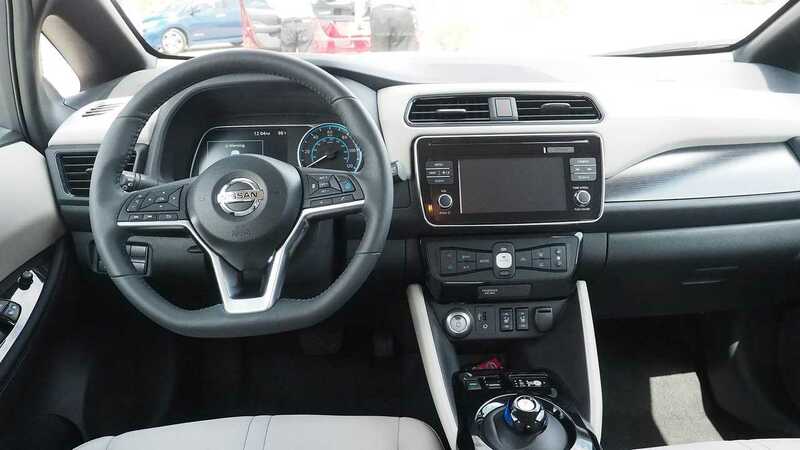 It's all pretty intuitive or, as Nissan HMI engineer Larry Smythe put it during the drive, once you understand how things work, it's all "quick, simple, certain, and trusted." * - To start the Leaf, as always, you push the on/off button at your right knee and then use a bubble-like pod to select your gear. 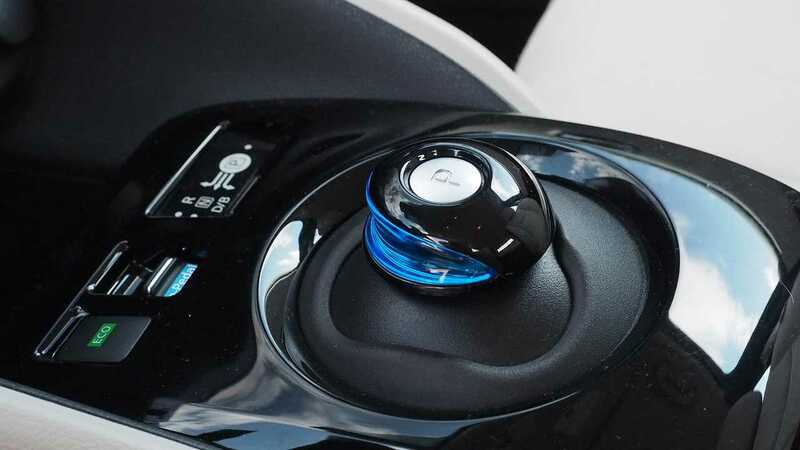 From there, you can engage Eco Mode by pressing a button (which you'll have to do if you want this slightly neutered acceleration feel that can give you perhaps 10 percent more range per charge, since you can't force it to default to on every time) or e-Pedal by flipping a switch. Smythe said that Nissan purposefully made these two options different kinds of toggles so that you can mess with them without taking your eyes off the road (compare this to the pod shifter, which will require a lot of double-checking with the schematic to remember where D and R are located). While e-Pedal isn't on by default, you can set "Retain Mode" to turn it on whenever you switch on the car. * - E-Pedal is the obvious highlight here, and the mix of friction and regenerative braking that works to slow the car all the way to a stop is amazingly comforting and I found myself trusting it at stop signs and on the highway. I kept my foot ready to engage the brakes, but never needed it either on the highway or in the strip mall-adjacent streets where we pulled over to get a few pictures. * - With the ProPilot engaged on the highway, platooning with the flow of traffic is a breeze. The system is not very aggressive (there's not way to get it to pass the car in front of you without taking control of the whole experience), so people in a hurry will feel the need to override what could be seen as AmateurPilot, but if you're just commuting to work and all the lanes are full, ProPilot makes things easy. 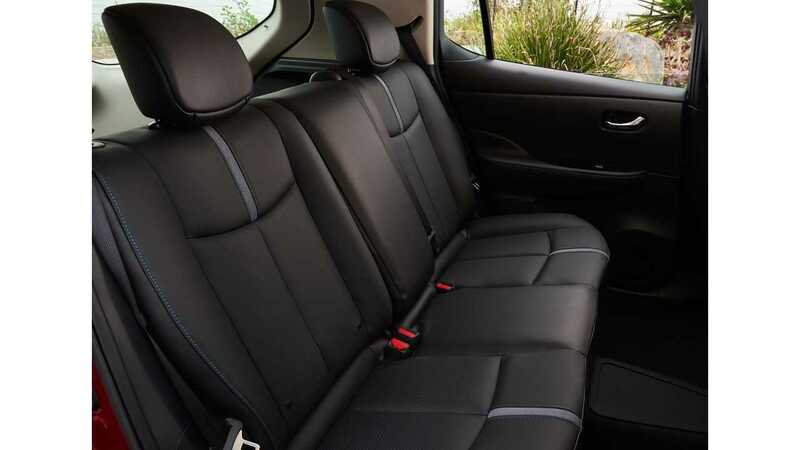 * - The rear seats are totally roomy for two adults. Squeezing three full-size humans in there will work, but not recommended for a long time. Up front, the Leaf feels open and elegant in a minor key. The surfaces in the SL trim we tested were nice to touch, but not amazing. Basically, for the price and the customer base, we think drivers will be happy. We'll have a more detailed driver report once we get more than like a thousand seconds in the car. For now, the word on the street is that the new Leaf is better than before, in pretty much every way. You won't want to go back to the first-gen once you've tasted the upgrades in store here.